We have all of our sessions in for the Domains 17 conference, and we’ll be meeting next week to get a preview of the sessions online, as well as more details about Martha Burtis’s keynote. It’s time to starting getting folks to register given the conference is only 3 months away—which is hard to believe. I’m looking forward to the opportunity of having a bunch of people exploring domains in the same place: an ideal way to share strategies, trade ideas, and articulate desires. This first conference will be fairly experimental, although grounded in the fact we were fortunate enough to get a stellar line-up of presenters and an awesome venue(s). Given this, we have made sure to build in an ample amount of time for socializing and sharing apart from formalized sessions. The push for this conference was driven by various folks asking to have a place to both showcase and discuss what’s happening at various schools. This does not necessarily have to happen in a physical conference space, but it can help to create some connections, build some relationships, and provide a catalyst for more. At first we were reluctant to run a conference given we’re a company, but partnering with Adam Croom at the University of Oklahoma (whose OU Create has become the model for many schools exploring Domains) helped waylay some of those concerns. Also, it is healthy to remember this is a “pilot” conference. If it turns out a Domains conference doesn’t make sense, or that it’s better left to the various schools to organize and run, we’ll gladly step out of the way. If nothing else, this will be a celebratory occasion to see what happens. And as with just about anything, the people who come will ultimately determine its value which is why the program we’ll be sharing next week will go a long way towards making the case for attending the event. Also, I have to take a moment and thank Bryan Mathers again who has been having an animated field day with the art. 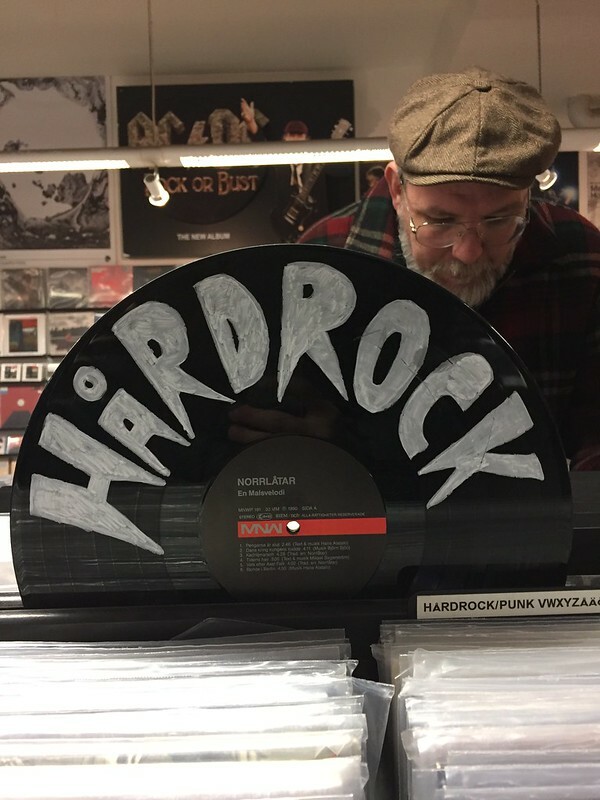 I recently posted the above image to Twitter of album art in a Stockholm record store that was remarkably similar to Reclaim’s logo. Bryan made short work of animating it into a promo GIF for the conference. What’s more, it was cool to see Tom Woodward (who will be coming to Domains 17!) selected one of his images from the Stockholm record store for last week’s photo post. As an aside, I picked up a few records to show my support for Swedish record stores, and made a point to honor a few of Reclaim’s servers new, old, and unannounced: Minor Threat’s Out Of Step, Ramones‘s Rocket to Russia, and Kraftwerk’s Computer World. That last album is a nice bridge to my next post which will announce Reclaim’s latest shared hosting server which resides in Frankfurt, Germany and is named in honor of electronic music pioneers whose music may far more contemporary than anything else made during the 1970s. Anyway, until then, register for Domains 17! This entry was posted in Domains 2017 and tagged art, Bryan Mathers, Domains17, gif. Bookmark the permalink.